At HHHunt, we strive to build a better way of life and fulfill our vision of improving the world and how people live by creating meaningful experiences and places of great distinction. Giving back in the communities where we live and work and helping those less fortunate are ways we live our brand promise to be an engaged community partner. 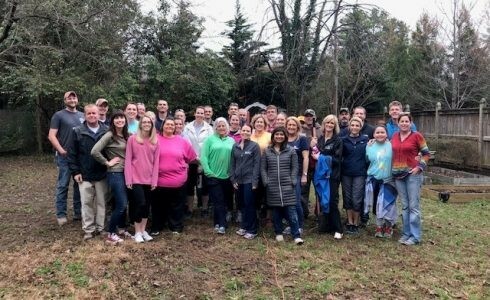 Our efforts were recently recognized by Richmond BizSense when HHHunt was named as one of the most generous companies in Central Virginia for 2018. This recognition is a testament to our team members and their commitment to our vision. As a company, HHHunt’s philanthropic efforts touch all of the communities in which we’re active throughout Maryland, Virginia, North Carolina and South Carolina. In 2018, we supported a number of national organizations and initiatives such as the Alzheimer’s Association, Red Nose Day, Relay for Life, and Habitat for Humanity. 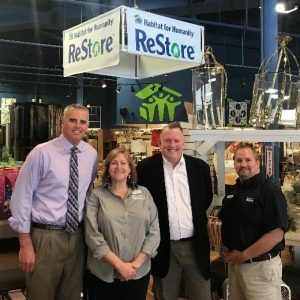 Our work with Habitat for Humanity is part of a very special partnership that allows us to not only build houses, but also volunteer with and donate to ReStore, assist with neighborhood revitalization and provide home repairs to seniors. In addition, we partnered with local nonprofits such as the Inter-Faith Food Shuttle of Raleigh, Safe Harbor, Richmond Sportsbackers, Ronald McDonald House Charities of the Carolinas, and the United Way of New River Valley. Team members from our HHHunt Apartment Living communities also supported 17 local organizations on Engaged Community Partner Day! We believe it’s how you live that matters and focus on being a generous, engaged community partner with the help of our team members, homeowners, residents, and trade partners. Together, we can improve the world and how people live!